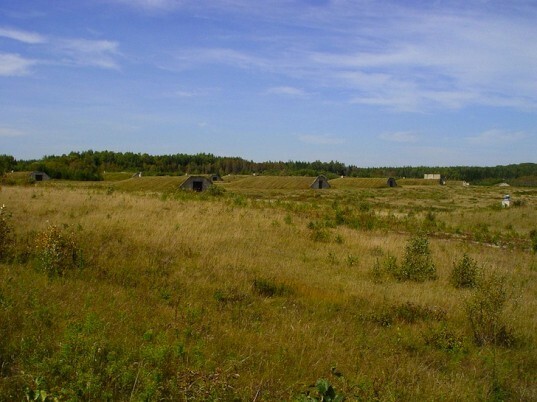 The United States Fish and Wildlife Service (USFWS) inherited 43 cold war era bunkers in 1994 when the former Loring Air Force Base in Maine shut down. Used as a storage and aerial delivery site for nuclear warheads, the base was transformed into the Aroostook National Wildlife Refuge. For years the USFWS sought a new life for the old grass-covered bunkers, and in 2012 they decided to convert two of them into artificial caves for sick bats. White-Nose Syndrome (WNS), the worst wildlife disease outbreak in recent history, has killed up to 6.7 million bats throughout North America, compromising crucial agricultural services to the tune of $53 billion. 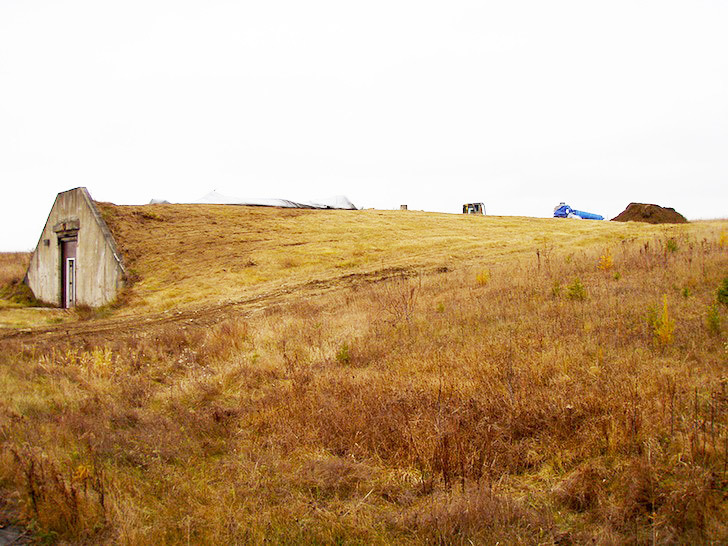 The bunkers are expected to provide a healthy respite from contaminated caves for hibernating bats. After monitoring temperature and relative humidity in two of the 43 bunkers, the USFWS modified them to create a suitable winter habitat for 30 small brown bats brought in from Vermont and New York. They placed a thermal mat on top of the bunkers and added small pools of water to maintain the optimum temperature between 37-39 F° and relative humidity of over 90%. They then added substrates on the inside of the artificial cave, including logs, wire and plastic mesh and bat houses. Once the male bats were relocated to their temporary winter home in December 2012, scientists monitored their activity with thermal cameras placed inside the cave. They found that the bats tended to cluster towards the back vertical wall and only one of them used the log. Occasionally they woke up to sip water from the constructed pools. In late March, the bats were returned to their original hibernacula. Only nine survived the ordeal, but Steve Agius, Assistant Refuge Manager at Moosehorn and Aroostok National Wildlife Refuges, wrote in a guest post for the USFWS that the experiment demonstrates that bats can survive in artificial hibernacula, which should be incentive to develop more.